Adventure At Altitude is the place to be for your “First Flight”, or a training package to get your License to FLY!! Opening Day for SkyRides & Lessons is Sat/Sun, May 4/5, 2019! So be sure to sign up Today before we are fully booked! Please read the “Reservation Instructions ” under the “Reservations” tab, then phone to make your Booking! If you have been searching for an adventure that exceeds every other adrenaline sport, then THIS IS IT! In fact, the sport of Hang Gliding is the world’s first adventure sport started over 125 years ago when Otto Lilienthal built and flew the worlds first gliders in the 1890′s, and inspired the Wright Brothers to begin their flying experiments to add a motor to their Hang Gliders! Adventure At Altitude has a variety of First Flight and Instructional experiences that will fulfill your Dreams of Flight, so you can experience the same excitement of Discovery just like the Wright Brothers when you hook into a Hang Glider, or rocket Skyward on board a motorized Ultralight, Flying Boat, or Flying Snowmobile!! If its your first time and you want to feel what its like. You can get an introductory groundschool lesson, then experience true free flight soaring just like the birds, plus feel hands on control during your very first flight by signing up for an Introductory SkyRide! Select a flight to suit your level of adventure: Gentle Sightseeing, Wild Aerobatic, or Extreme Altitude! Do you want to become a Licensed Pilot? Your first SkyRide will be logged as your 1st hour of training when you sign up to take a lesson package! We will provide all the equipment, books, and training you need to fly a Hang Glider, Ultralight, Flying Boat, or Flying Snowmobile yourself!! During the first session, you will receive a ground training lesson to prepare for flight! Then you can customize your experience to suit your own personal level of adventure: From a mild and gentle Co-Pilot flight, to an Extreme Altitude Mile-High flight above the clouds, or a thrilling adrenaline pumping aerobatic Fear Factor experience that beats any roller coaster! During the flight, you can take over control from your Certified Instructor to feel how easy it truly is to pilot your own personal aircraft! You can complete the 25 hours of instruction in less than one week to become a fully licensed pilot quickly. Or with limited time, you can spread your lesson package out over an entire season or two by just booking our shortest 2 hour session with no set schedule! Just make a reservation whenever you have time to fly! Adventure at Altitude’s Pro-Shop and Online Stock Listing features a huge selection of new and used aircraft, equipment and flying accessories to choose from that is affordable to fit your budget. Our Facility is open by reservation only – based on our flying schedule and the weather conditions. So if you would like to fly, or even if you are not flying and just want to have a look around and talk to the pilot/instructor, it’s important to click the “Reservations” tab and click “Make a Reservation” to see our flying dates for the next month. If you have questions, please phone 1 day in advance so the Pilot knows when to expect you so he can be on the ground to spend time showing you around. 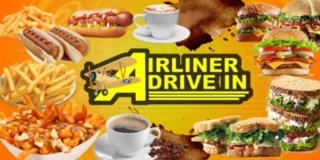 We are now operating behind the Airliner Drive-In in Beausejour. So don’t drive out to Lockport, instead bring your family to Beausejour to enjoy some Ice Cream on a hot day, to dine on the best Burgers and Fries in Manitoba, and to be entertained by the Hang Gliders and Ultralights overhead, and maybe sign up to go on an Introductory SkyRide Lesson yourself! Adventure At Altitude is the place to Experience your “First Flight”, and to get your License to FLY! !